Gutter Helmet is the industry leader for gutter protection and gutter guards. Home Solutions Midwest is a proud member of Gutter Helmet's extensive, nationwide dealer network. ProVia has earned a reputation in the building products industry for high-quality, old-world craftsmanship and customer service. 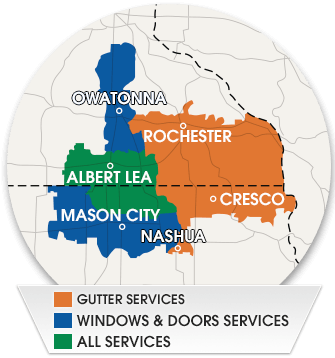 Renewal by Andersen provides innovate window and door replacements as a division of Andersen Corporation, one of the most trusted window brands in the U.S.
Home Solutions Midwest is a proud member of the Freeborn County Chamber of Commerce. Home Solutions Midwest is a contributor to Ducks Unlimited, a leader in wetlands and waterfowl conservation. 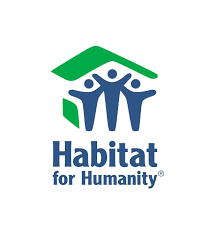 Owner Steve Field worked with Habitat for Humanity, an international nonprofit organization that works to provide decent and affordable housing for those in need. 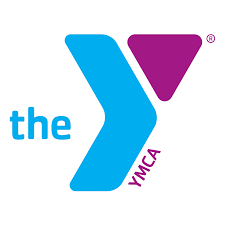 Steve Field, the owner of Home Solutions Midwest, is on the board of directors for the local YMCA.